Cab Service in Chandigarh: 1313 Taxi has explored a huge experience in the tours and travels industry. It has emerged as one of the best and quick cab service in Chandigarh in the recent times. Covering almost entire city, 1313 taxi is dominating its competitors from last few years. It provides its customers with unmatched quality taxi service in Chandigarh that is even at reasonable prices. We at 1313 taxi, have the motto ‘100% satisfied customer’ and thus work accordingly. Our experienced drivers and supporting staff members just keep in mind that customer is king for the company along with the quality inspector. Just get benefitted with our attractive and easy method of online taxi booking in Chandigarh. 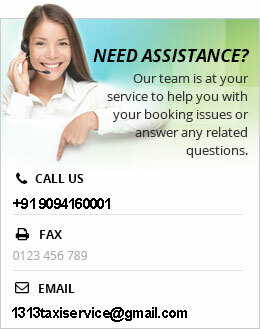 Pick your phone and search the keywords like Chandigarh taxi service etc. As soon as you enter the order, our cab service in Chandigarh will immediately start following you. Because we have a fast and quick pick and drop taxi service in Chandigarh. They will also send you a reminder when they are about to reach you. We have professionally trained and skilled drivers that are keen to work passionately and make your journey a memorable one. You have no need to worry while traveling with us about your luggage or other any kind of material. We have a huge collection of vehicles to assist you with hassle-free cab service in Chandigarh. It consists of four-seater, five, six or even 8 to ten seater cabs or tempo travelers. 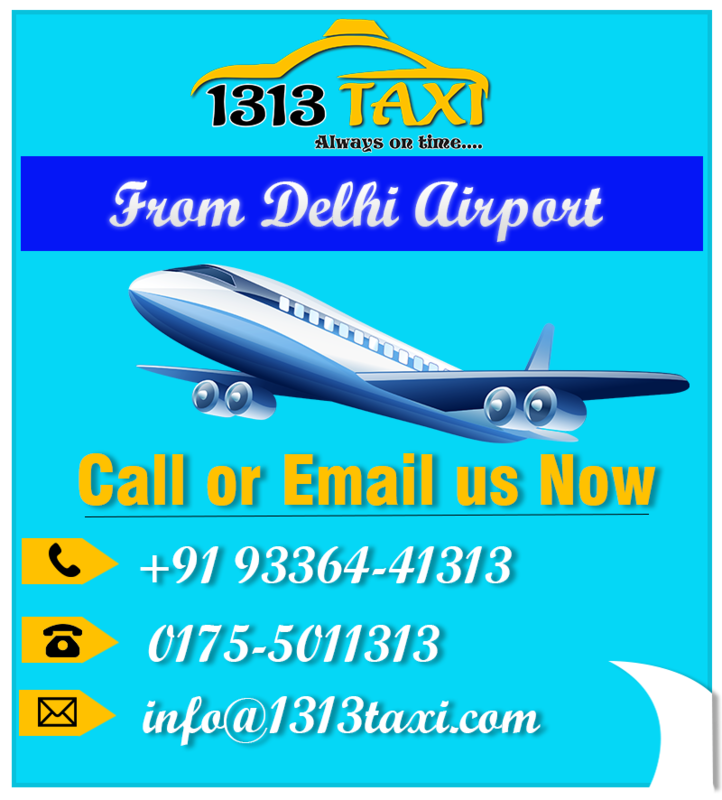 1313 taxi has the fantastic cab services not only in Chandigarh but also to the nearby important locations. We have special one-way taxi service in Chandigarh for Chandigarh to Delhi taxi service and Chandigarh to Delhi cab. If you have still any kind of query or doubt in your mind about our services, then never hesitate to write us. We will fix up your conflicts as early as possible.